Do you need to bank some extra cash? 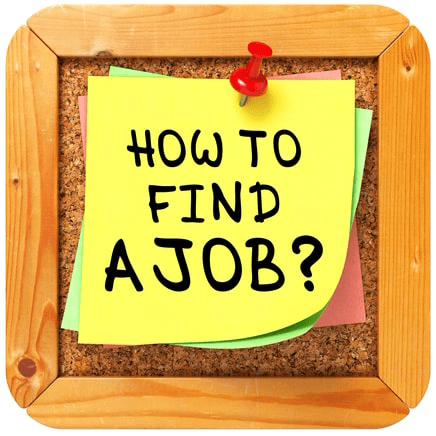 Read some important points before starting to find genuine online jobs. In today’s society, more and more people need additional money for their life. So they need an online part time job for this purpose. The part-time job can be ideal for students enjoying their summer vacations, working parents, homemaker or anyone who is looking to earn a little more money to supplement the income from another, full-time worker. As we can plainly see, Online jobs is a taste of the real world and have become a tool that is working contrary to the interests of the middle and lower classes. People may do the prevalence of online work with their erratic schedules, during low wages, and no benefits of their salary. Most definitely you too want some more money for your own business, fun, educational fee, savings, etc. I also need money for my educational loan. But there are lots of websites offering so many part-time jobs but these jobs are so far from our native place. I do not know where I am going to apply part time job then HOW CAN WE FIND GENUINE ONLINE JOBS IF THIS IS LEGITIMATE?. It is really difficult to identify the real one. I just want to say do not pay any money for earning money online. In this article, I would like to share some information about the myth of making a living online from home with you people. 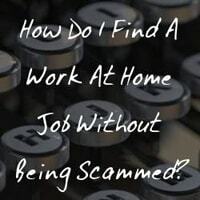 For the last couple of years, I have been trying to find genuine online part time job like “Work From Home”, “Earn money through the Internet” etc. All websites claimed to be trustworthy, paying and use by all college students, homemaker, fresher, job seekers, etc. I confused then. 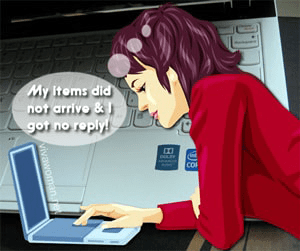 Must Read: Why Making Money Online takes time? ••• Back office executive etc. I believed and applied on those websites and they asked me to pay Rs.2500 as registration fee and told me that this amount would be valid for six months only. After that, if I wanted to continue working in their company I should keep paying a registration fee every six months. I simply quit. Again I started searching and found a new online part time jobs website that was about EDITING /PROOFREADING for any who can read English can do this job. That didn’t require any tough English grammar and could be done conveniently at home. I applied for that then they send me a mail about work details and also demanded Rs.500 for confirmation and said it will refundable after your first work. They further said I would get paid based on my performance. I paid then they send me a 50-page work document through email. I had to find errors on that 50 pages and send to them within 5 days (also have to mark incorrect sentences or words with colors). Same like that I sent it but they neither replied nor refunded me back I tried to contact them so many times but they never answered me. I got cheated by them. Then one of my friends told me about an online work at home, like AD Posting. I just applied because they posted on their website that they were a government certified company and showed photo saying they were not cheaters and if we believed them we would apply otherwise NO. They asked for Rs.2000 and said we would get Rs.500 for each referral. I paid on their bank account; during the application process, they asked my address proof, id proof and valid Gmail account, bank details for transferring money and photo. I sent all, what they asked for that job after that we will teach you by Skype or team viewer so you must have it or download it. No way had I downloaded that. Then they taught me by team viewer ow to post an ad on websites, blogs, forums, etc. I worked for a month day and night to complete 2500 ads to get my first payment. I did 2150 ads and I was happy that in 2 more days my target of 2500 Ads will be completed and then I will get paid. All of a sudden my LOGIN WAS DISABLED I contacted their support team but nobody ever responded to my phone calls and emails. I do not know what to do? They just want people to pay them Rs2000 and work for no pay. Also, I heard faker online part time work websites and some of my friends told their opinion like they called for fake verification, fake interview and also they send their fake payment proof, then only we will trust them. YES! Most of the online part time job websites are SCAM. It’s really hard to find a decent work from home jobs. Really I am a sufferer of those scam jobs; you know I have tried a lot of ways to work online on the internet. But as far as I have seen all of them are fake. Many of them ask for advanced payment or forced investment and offer guaranteed jobs. But the fact is you will only lose your precious time and money to such people. Sometimes you may signup for newsletters on online jobs but they are not even a bit helpful because they work for those people who ask initial investment. Also, they get money just for sending use mails. So try not to signup for such newsletters. Trust me when I say this because I talk from my own experiences. Finally, my advice to you all is, NEVER PAY MONEY AND JOIN ANY SITE. Please do not fall for it. I would be happy if you get saved from this online fraud after reading this. How to get to know genuine online jobs? ••• Most Genuine online jobs like Paid to click, Survey Jobs and Blogging that don’t require you to invest money in the beginning. It is completely up to your wish to invest there. Even if you don’t you can still keep earning for free from them. ••• All genuine online jobs are already revealed open source but you need some knowledge to identify the same. ••• Working Online usually pay you only small rupees and it’s your responsibility to build a bigger income stream from your experience. ••• Never join online jobs that demand a registration fee. ••• Start your online career with PTC sites and try to avail other legit income opportunities as well. Remember! Do not plan to earn thousands of dollars over the night. Also, make hay while the sun shines. Disclaimer / Important Notice: Choosing to work in an Online job will give you only part-time income, not a huge income! It takes much time. Never expect to be rich overnight through internet jobs. Let’s read some more in this article which will teach you how to stay away from online scammers? and choose a right online job to work from home. There are so many benefits to having a real computer work from your home because you have your own time for your family and profession. You can take full control over your time and also save a lot of money spending on miscellaneous items such as travel expenses to your office, work clothes etc. Before running rush into an online job, you must follow this advice from our experts to get the ability to identify genuine online home based jobs. 1.) Do what your mind says? This is one of the best ways to avoid online scam. Tough it might be a bit harder to listen to your own instincts but this might work well. When you approach new online work and if under any circumstances, if you feel uncomfortable for any reason just walk away without hesitation. There are dozens of internet jobs available out there to choose and work. Just this alone been your end, move on to look for another opportunity to work comfortably. It is your prime duty stays next to listening to your own instinct. Once you were chosen for a job or you planning to join a job, do a complete research about the recruiter or the company. Conduct online research to see if there is any complaints or negative reviews about the company or the recruiter to determine yourself if he’s really a real. You should be capable of finding the trustworthiness of the person (Recruiter) to whom you are going to work for unless just leave it. If you have been invited to join for an online job or else either you are looking for the same, try to get the communication address and contact details of the company you are about to work. Various means of communication such as contacting by Email, Mobile will help you to verify their reputation and their real existence. It had been a decade that employer gave you a printed appointment letter to confirm your recruitment. Almost everything today is done online, including the interview (video conferencing), appointment(Letter via Mail), Working place(remote – online work). You only have to stay safe for those concerned. ••• No recruiters will ask for your personally identifiable information ever before an appointment. ••• Huge income for absolutely no work. ••• No professionalism in their approach either way during the interview or on their web portal. ••• If their website seeks a lack of precise information. All these were a sure sign of the scam and you should stay away from these things. There are still a lot of potential online works available to choose. So, stay safe, always ask questions. Thanks for spending your time to read this article on how to find genuine online jobs shared from the own experience by one of my blog reader. She was scammed by an online website for Ad-posting jobs asking her to pay a registration fee and blocked communication with her after getting the payment. 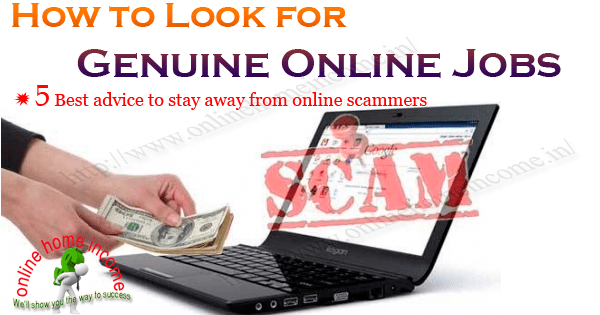 The main purpose of this article was to educate the people to aware of these online scams and make them stay away from scam websites. Post your valuable comments and thoughts about this article and share your own experience if you faced any similar kind of scam.